Health care law covers a broad spectrum from HIPPA through medical negligence claims. The medical profession is one of the most highly regulated professions. Privacy issues, emergency care, security issues, insurance concerns, Medicare and Medicaid rules and regulations, anti-trust, and other issues make the practice of providing health care difficult and paper intensive. The Idaho attorneys at Thomsen Holman Wheiler PLLC are experienced in Health Care Law in Idaho Falls and with many of the issues that face health care providers. If you have questions or concerns regarding health care law, please call us at (208) 522-1230. The remainder of this article is a basic review of significant issues involved in a medical malpractice case. The first section highlights the pre-litigation screening process in Idaho and the difficulties that may be encountered during or as a result of that process. The second section discusses a broad range of potential problems that should be considered in filing and/or defending a medical malpractice case. In 1976, Idaho adopted the Medical Malpractice Act and required that certain things take place before lawsuits could be pursued against physicians, surgeons, or licensed acute care general hospitals operating in Idaho. Idaho Code ? 6-101-6-1013 sets forth the requirements for medical malpractice claims. The first thing that the Medical Malpractice Act established was a procedure for conducting a hearing on all alleged claims of malpractice against physicians, surgeons, and hospitals. A hearing panel follows a procedure for pre-suit consideration of claims for damages arising out of the failure to provide proper hospital or medical care. Compliance with the Medical Malpractice Act is mandatory. However, the findings of the pre-litigation panel are informal and non-binding. The hearing panel consists of a physician licensed to practice medicine in the state of Idaho. Usually this physician has special expertise in the field which is at issue in the pending claim. If a hospital is involved, a hospital administrator is also a member of the panel. There is always a panel member who is a lay person from the community and a panel member who is a lawyer licensed to practice law in the state of Idaho. The lawyer is the panel chairman. There is no record kept of the hearing or any documents or records filed with the panel. Evidence, documents, and exhibits that are used in the proceeding are either returned to the parties at the end of the proceeding or destroyed. By statute, the hearing panel does have authority, when necessary, to issue subpoenas and to administer oaths and tender witness fees and mileage. The panel hears evidence that comes from the lawyers, in summary form or from witnesses. The rules of evidence do not apply. At the close of the proceedings, the panel issues a report. The reports indicate whether the matter appears to be frivolous, meritorious or any other particular description. The panel, if unanimous, can provide a non-binding opinion as to an amount of money in damages that it believes should be fairly offered or accepted in settlement. The actual pre-litigation process requires the claimant to serve on the accused healthcare provider a true copy of the claim, which must be in writing and which sets forth in general terms when, where, and under what circumstances the healthcare in question was in improperly provided. The claimant provides the State Board of Medicine with the original complaint along with the names and addresses of the healthcare practitioners who are the subject of the complaint. Preparation is the absolute key to pre-litigation screening success for either claimants or defendants. failed to provide medical services to the plaintiff in accordance with the local standard of care existing at the time the care was given. The defendant health care provider must be compared to other similarly trained and qualified health care providers of the same class. For example, depending upon the facts of the case, if a hospital, emergency room physician, and neurosurgeon are potential defendants in a case, the plaintiff will likely need at least three separate expert witnesses to establish a breach of the standard of care by each of class of health care provider. Generally speaking, in the small medical communities found throughout most of Idaho, the health care providers need to continue to practice with one another long after the medical practice case is resolved. As such, it may be difficult to obtain a local physician as an expert who is already familiar with the appropriate standard of care. If you are required to retain an out-of-area physician, that physician will need to familiarize him or herself not only with the case but with the local standard of care. Although arguments pro and con can be made with regard to recognizing a national standard of care for board certified physicians, that is not the law in Idaho and it is critical for the out-of-area physician to carefully familiarize him or herself with the local standard of care as it existed at the time of the care at issue. Board certification in the same specialty alone does not provide a sufficient basis for the out-of-area physicians to testify as to the local standard of care. At a minimum, an out-of-area board certified specialist must inquire of a local specialist to determine whether a local community standard varies from the national standard for that broad-certified specialty. The expert can become familiarize with the local standard of care in various ways, including having a detailed discussion about the standard with a physician in the same specialty who is familiar with the local standard of care. Even if you believe that there is a clear factual basis to support a breach of the local standard of care, causation issues are usually complex and difficult. One of my partners is fond of pointing out to juries that, “Although the fuel pump in Mr. Plaintiff attorney’s Mercedes is usually in the same place when you look under the hood, human anatomy varies greatly.” Physicians are not guarantors that the treatment they offer will produce the results expected. Given the requirement of direct expert testimony, the doctrine of res ipsa loquitor does not apply in medical malpractice cases in Idaho. Unless your facts involve a catastrophic event (such as cutting off the wrong leg, performing the wrong surgery, etc.,), causation issues should be explored carefully. Research in medical journals can be a valuable tool in dealing with causation issues. Typically, medical malpractice cases involve large amounts of paper records, imaging studies, and other diagnostic testing that must be reviewed by the expert witness. This review by the expert witness is critical to the development of the case and should be done, if at all possible, even before the Pre-Litigation Screening Panel is convened. At a minimum, this review should be done prior to filing suit. Once the suit has been filed and depositions taken, the expert should be provided supplemental information such as copies of depositions, new records, reports from adverse experts and the like. Generally speaking, under most medical malpractice policies, the physician has ultimate power with regard to settlement. Without the provider’s consent, the insurance carrier cannot settle the claim. In light of the fact that any settlement or verdict against the health care provider is entered into a national practitioner data bank, physicians are typically not inclined to acquiesce in settlement. Additionally, the Idaho State Board of Medicine appears to be investigating all claims against physicians which result in a settlement or verdict against the physician. This is also resulting in a chilling effect on such settlements. Medical malpractice insurance premium increases and fear of losing coverage are other factors that weigh heavily on the minds of the defendant physician in terms of making the settlement decision. Quick and easy settlements are exceptions rather than the rule. Finally, physicians, as a group, are generally speaking highly respected members of our communities. Physicians are perceived by most potential jurors as providing an invaluable service to the community. Coupling this positive perception with the conservative make-up of a large portion of the juror population in Idaho, and it is easy to see why claims against physicians are much more difficult than other negligence claims. For all of these reasons, claims against physicians must be carefully selected. Physicians are not expected to be perfect. Medicine is not an exact science. Disagreement among medical professionals as to the proper method of treatment often occurs. Providing care in accordance with the minority view does not necessarily mean that the physician was negligent. Therefore, careful case analysis by the attorney and early expert involvement in the case is critical for both the plaintiff and the defendant. 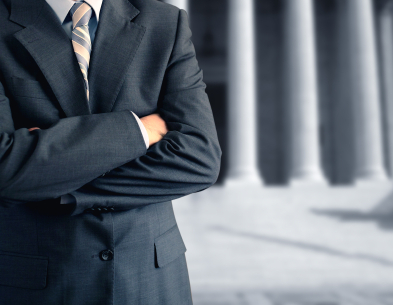 The attorneys at Thomsen Holman Wheiler PLLC are experienced in the defense of medical malpractice cases. The firm does not currently accept professional negligence cases against physicians but has handled some plaintiff’s cases against dentists, chiropractors, and hospitals. If you are a health care provider facing a claim for professional negligence and need assistance with that claim, please call us. If you feel that you have been injured by the negligence of a health care provider other than a physician, nurse practitioner, physician’s assistant, or nurse, please call.